Here’s to a wonderful 2013!! Have a very Happy New Year!!! Happy New Year to you Maria! You too Diana! May God bless you and your family with all good things this year! 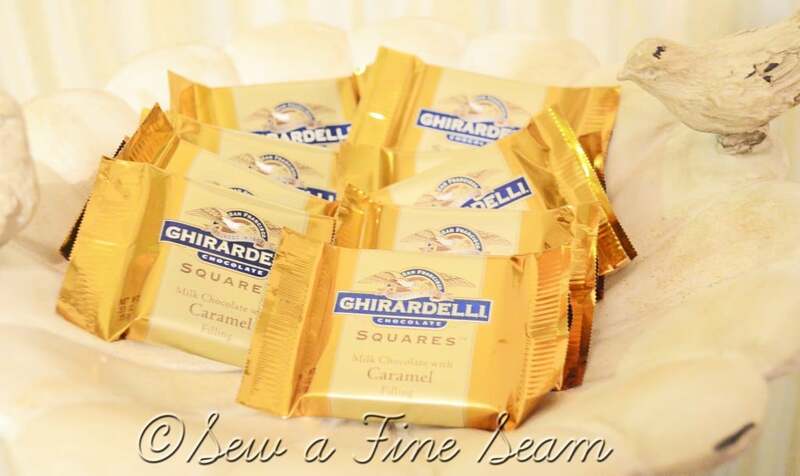 Carmel chocolate wishes sound good to me. Wishing you a wonderful year as well in any and every flavor that makes you smile! 🙂 Thanks Liz! Happy New Year! Happy New Year to you too Jennifer! Happy Happy New Year sweet friend. I hope you had a wonderful night and I SO look forward to seeing where your blogging will take you in the new year! Thank you Jaime! So happy I found you – it was your painted brick that convinced my Mom to let me paint hers! And I loved your blog and followed along and the rest is history! I’m so glad we are friends! I’ve made so many other great friends through you and your link party too! May God bless 2013 in amazing ways for you! Happy 2013! Hope it holds many blessings for you, your family, and Sew a Fine Seam! Happy 2013 to you too! May God bless you with wondefulness! Happy New Year to you, too, Jill! Hope you have a fantastic year. Happy new year, Jill. I can’t wait to see where life takes you, your blog and your business in 2013. Happy New Year to you too Amy! The holidays have been fun but I’m kinda ready to get back to normal life – and catch up with all my blog friends! So glad you are one of them! I am so pleased that we were able to meet this past year! You inspire my creative heart and are always there to enrich my spirituality! Season’s Blessings! Happy New Year to you and your dear family! Thank you Lynne! I feel so blessed with all the blog friends I’ve gained in the past six months. When i switched to wordpress I really wanted to get my numbers up so I started linking up at blog parties. And somewhere along the line it all changed from wanting numbers to go up to making personal friendships with other bloggers! And I have loved it! Can’t wait to see where 2013 takes us!